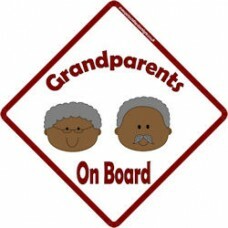 happy, smiley, granddad on board car sign, dressed in a typical granddad cardigan and walking ..
A grandparents on board car sign, showing both grandmother and grandfather with matching walking sti..
Two stick figure faces of grandparents, next to each other. 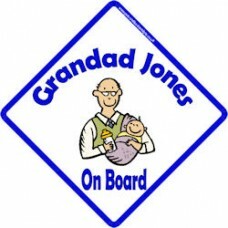 A lovely sign for the grandparents of an..
On board car signs are not just for babies! 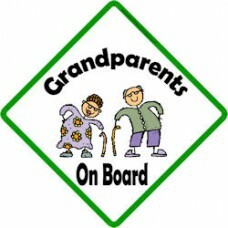 Sometimes the most proud members of the family are the grandparents, who will spend many hours taxiing the kids around to help mum and dad. 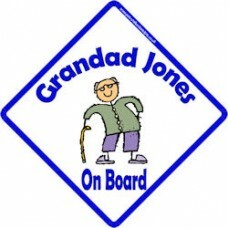 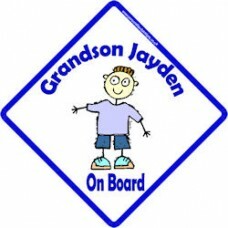 This is why we have our hugely popular Grandparents on board car sign range. 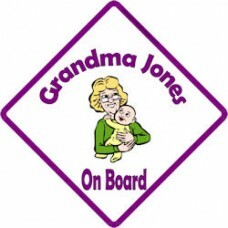 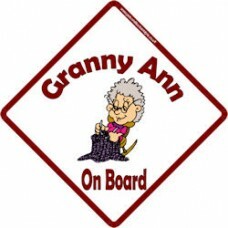 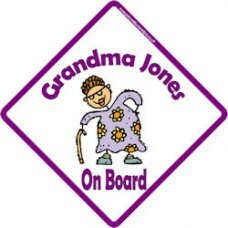 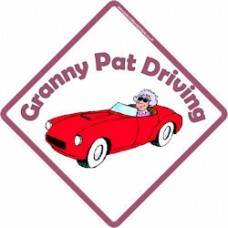 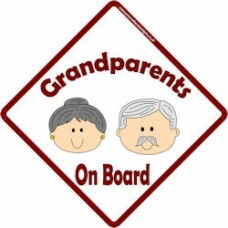 We are amazed at the enthusiasm the grandparents in this world have for these signs, which is why we have a wide range of grandparents on board car signs for you to choose from. 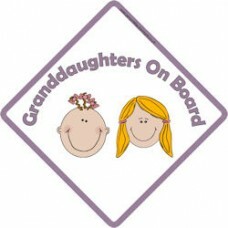 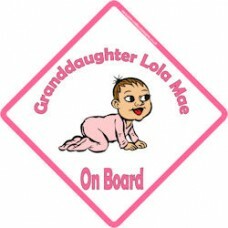 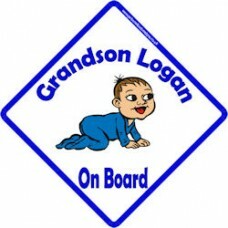 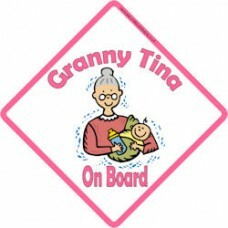 Within this category we also have Grandson on board, Granddaughter on board, Grandma on board, Granddad on board. 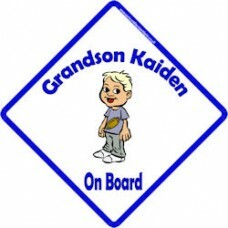 Remember we can create any sign for you through our create your own service. 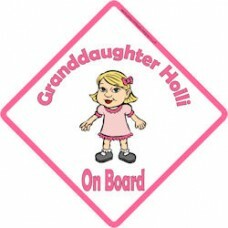 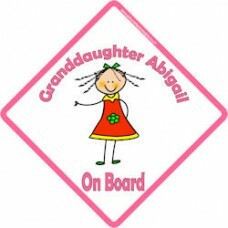 So if you can’t see the right grandparents on board car sign for you, get in touch and let us know your requirements and we can create your very own unique grandparents on board car sign.